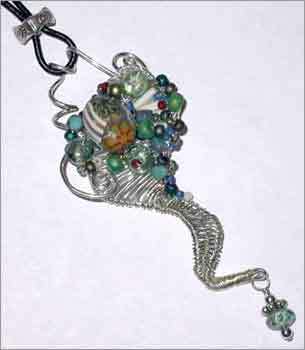 Create this twisted free-orm pendant from two gauges of wire. Decorate the top third with a unique focal bead and fill in with bits left-over from other projects. Add a dangle at the tip for flirty movement. Easy & FUN project!